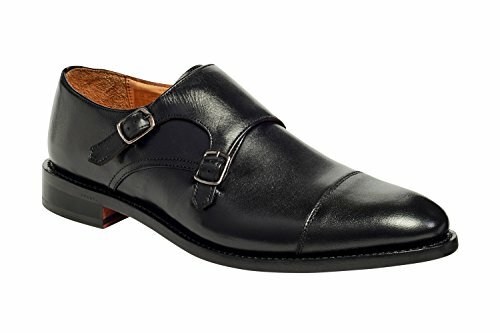 Anthony Veer's Roosevelt Oxford Double Monk Strap are made in Goodyear Welted Construction, which is the finest quality of construction in shoes, industry wide! This welting process makes the shoe highly durable, water resistant, and comfortable as the leather molds to the foot over time. This sophisticated shoe is made with full-grain calfskin leather that portrays exquisite quality and finish. These Highly versatile shoe can be worn dressed down with cuffed jeans or dressed up with any dapper suit.